Taste: These coffee beans are known and loved for their unique flavour. With a mild spicy kick and a wine-like essence that finishes with a floral aroma, this clean tasting coffee glides over your palate with an almost sweet aftertaste. Hand harvested and dry processed, this coffee has a very unique flavour profile that you will thoroughly enjoy. Treat yourself to the goodness of purity of this refined gourmet coffee.  At Roast Batch we are on a mission to get the UK drinking better coffee with a fair price tag. We make incredible, freshly roasted coffee accessible to everyone. Coffee beans are sourced ethically from reliable, sustainable supplies around the world – South America, Africa, Asia and beyond. Roasted in small batches at Roast Batch HQ in Newcastle, your coffee will be shipped within 2 days, making us faster than our competitors! Our coffee isn’t ground until the last possible moment before being sent straight to you to enjoy. Roast Batch is about giving people freshly roasted coffee. Fresh coffee tastes a lot better than coffee that’s been sat on a shelf for months in a supermarket. Currently, in the UK either in supermarkets or with big coffee chains their coffees are over roasted (dark roast) to standardise taste, this kills the aromas and origin character of the coffee. We want to provide real tasting coffee. Great coffee is not made by baristas using standard beans, roasted industrially in coffee shops. We are here to transform the UK's coffee culture. Are you ready to subscribe to Roast Batch yet?